Low shrublet, about 0.2m tall, stems prostrate and ascending; leaves in irregular whorls of (2–)4–6, or spirally arranged, to 6mm long (leaves in inflorescence usually longer); 8–40 flowers in terminal raceme, or flowers solitary in leaf axils; calyx cup-shaped, pink, creamy-pink or white, usually tightly clasping the corolla, to 1.5mm long, with 4 triangular lobes; corolla bright pink to red–pink, very rarely white, campanulate, tiny, to 3mm long, 4-lobed; stamens 8, included; anthers without spurs; style emergent; no nectary present. Blooms between late spring and early summer, but may continue into autumn in the wild. The Balkan heath is found in south-eastern Europe (Romania, Bulgaria, Bosnia and Herzegovina, Serbia, Montenegro, Macedonia (FYR), Albania, Greece) and northern Turkey. It inhabits acid, sub-alpine regions to 2800m altitude and is suitable for zone 6. 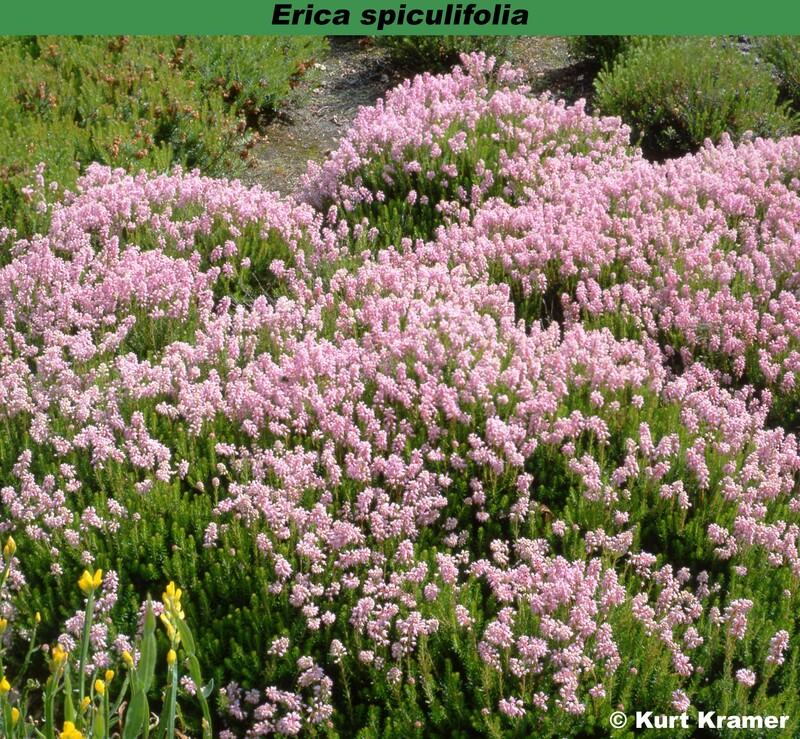 A dwarf plant, Bruckenthalia (its former generic name) is highly recommended for the small heather garden as it flowers between the winter-flowering and early summer-flowering heathers. It requires a lime-free soil and thrives best in full sun. Bruckenthalia does not look like the majority of the hardy heaths because of it small flowers in a very distinct stalked raceme. It has proved to be amenable to hybridization.